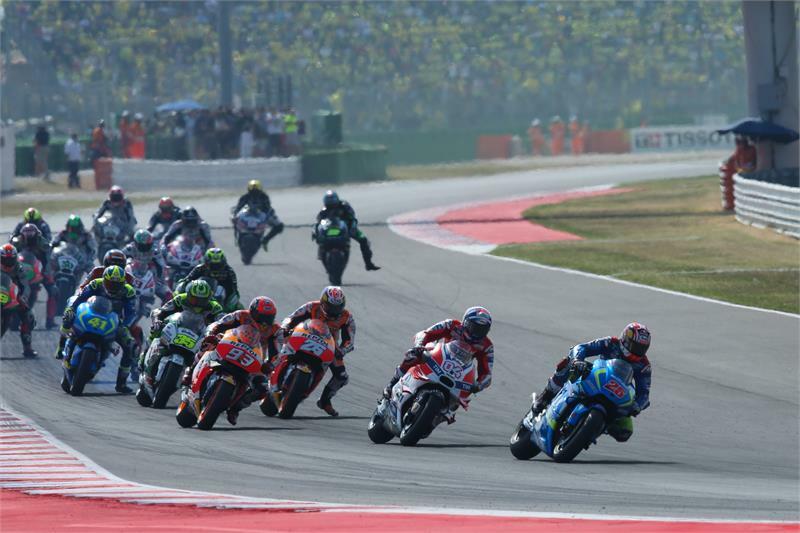 Team SUZUKI ECSTAR’s Maverick Viñales fought back to fifth position after a positive race in today’s MotoGP™ round at the World Misano Circuit Marco Simoncelli in San Marino, as team-mate Aleix Espargaró was unfortunate to slip-off at the half-way stage. Viñales, who started from third position on the front-row aboard his GSX-RR, kept his position in the early stages but got moved down a few positions until making a move back to fifth place. But he was deemed to have crossed a ‘no-go’ racing line and had to slow and relinquish the position to the rider behind him; which he regained very quickly and subsequently held for the rest of the race. Team-mate Espargaró had more problems with the tyre management today, having a very bad feeling with the front-end that prevented him being really competitive; and which finally resulted in a crash that took him out of the race. The early laps and the whole weekend proved the improvements made for the Spanish rider, but the tyre choice was not the best for his riding style and also some of the tyre performance will be further investigated.